From the early days of the establishment of the AYAC, the ladies’ Guild has been one of the most active and energetic committees of the Association, and they play a big role in organizing the various activities and fundraisers of support the work of the Board of Directors. The Ladies’ Guild is composed of the Association’s ladies who are either members themselves or are wives of members. Their aim is organizing fundraisers (parties, gathering etc.) to financially help the Association in meeting its obligations. These fund raisers include (but not limited to) a Super Bowl breakfast, a dinner dance party at Valentine’s day, a luncheon at Easter, dinner dance parties at Mother’s day and Thanksgiving. In all these fundraisers the ladies assume the responsibility of preparing delicious appetizers, mouth watering dinners and desserts, and voluntarily spend countless hours preparing all the above for the satisfaction of the people attending the events. The Guild holds weekly meetings to discuss and make preparations for upcoming events, and arrange the various necessities for these events. 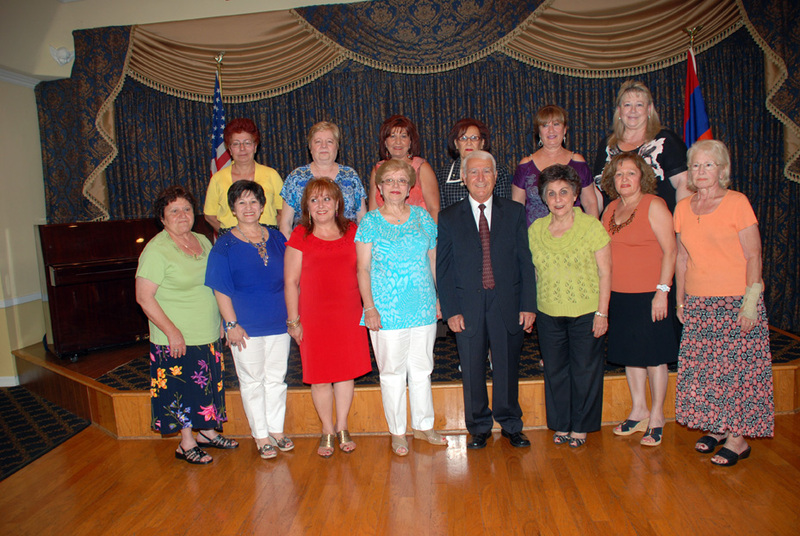 They also arrange and supervise dance classes for people (mostly members) interested in Learning Armenian folk dancing and other dance styles.